Polly’s Pies has been a beloved local treasure for nearly 50 years since its opening on November 1st, 1968 in Fullerton, CA. 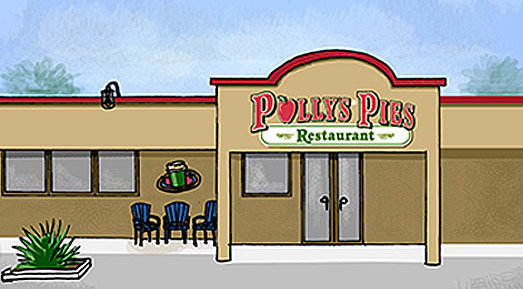 This location gave the owners, Eddie and Don Sheldrake, the inspiration for the name “Polly’s Pies” since the door handles were shaped like the letter “P”. Fullerton has evolved into the commissary that provides top quality dinner rolls, tangy coleslaw, and the BEST pies for all fifteen restaurants.